The Montaña Corona stands proudly at the back of the Costa Teguise resort, there is a footpath which circles the base but for the more adventurous I’d definitely recommend the climb to the top. 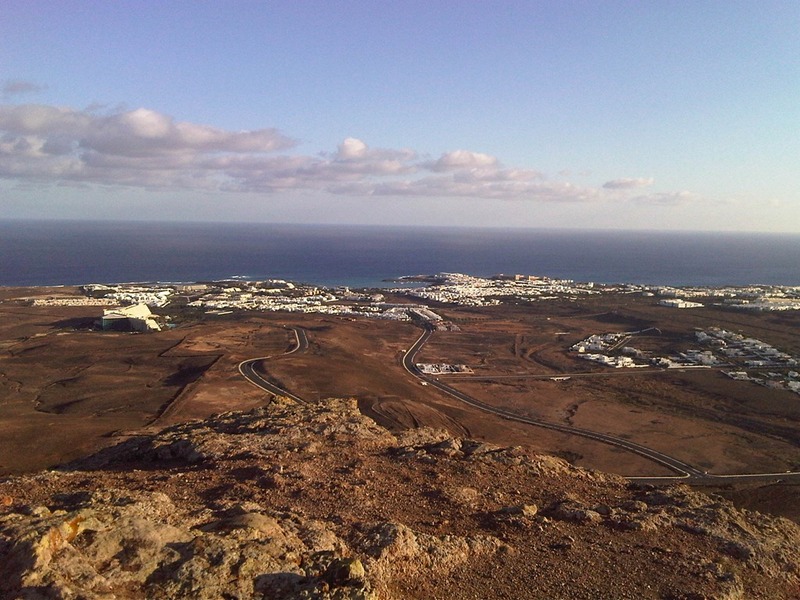 This is a Costa Teguise walk that culminates in an awesome view! I started my Costa Teguise walk from Calle Atalaya which circles up and behind the Biatriz Costa & Spa Hotel. On the brow of the hill I took the wide dirt track leading off from the road on my right. After a short climb the track narrowed and I reached a cross roads, I could clearly see a path heading right around the base of the corona and looking up I could see 2 other walkers on the ridge of this route, alternatively there was a steep path zig zagging straight up…..this was the one I took. The path was straight forward for the first half of the climb, there were lots of loose stones underfoot but there were plenty of footsteps showing that others had taken this route ahead of me. I didn’t find the climb hard going on the legs, the further up we got the less obvious the path was, I think that as the going got tough previous walkers selected different ways of reaching the top. As you can see from the photos I had Louie our dog with me, I would only recommend this way up for the sure footed and adrenalin junkies, one wrong step and you could start sliding. The two people that I had seen walking the other route must have seen me and decided to descend this way. Having come up, I wasn’t going down this route! The view from the top of the Montaña Corona is incredible, I could clearly pick out landmarks in Costa Teguise, cruise ships in the harbour at Puerto Naos, the old capital of Teguise and the windmills in the North of the island. My favourite view though was down to the neighbouring Montaña de Saga, it looked simply stunning with the afternoon sunshine highlighting the ravines and red colouring contrasting to the green lichen covered ground I was standing on. I walked along the ridge circling the top of the corona, selecting the path down from this point instead. It was still very slippy underfoot but it wasn’t as steep as the path up. Towards the base of the corona I picked up the path right which skirted back around to the original crossroad. For a longer walk you could take this path left and walk around the back and between the two coronas. This walk was approximately 3 km and took an hour and a half including plenty of time to stop for photographs and to enjoy the view at the top. A Costa Teguise walk well worth doing. 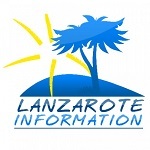 More Lanzarote walks you can do.